If you are having difficulty finding the country code that you need to make your international call, please use the following helpful tips for performing a search on Country Calling Codes or browsing our quick reference phonebook. Search for a country code using our country calling code search tool. Select The Country You Are Calling From: Select the country that you are calling from in the search box drop down selection box. Select The Country You Are Calling To:Select the country that you are trying to call in the search box drop down selection box. To perform a search: After you have entered the country that you are calling from and to, click on the submit button to perform your search and get your dialing instructions. Select The City You Are Calling To: On the first page of search results, you will see the country code for the country that you are calling, along with a dropdown of city selections. Select the city that you are trying to reach from this dropdown and then hit the submit button to perform your search. Do Not Dial Plus (+) Symbols: Once you have the dialing instructions, dial only the numbers displayed, not the plus (+) symbols. Visit our quick reference international phone book to browse our complete directory of country calling codes and area codes. Click on the corresponding letter of the alphabet that the country you are calling starts with (e.g. "U" for United States). Once you are on the country page, you can then select a state (where appropriate) to get more specific area codes and dialing instructions. 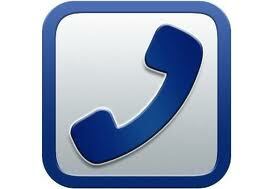 Once you have the dialing instructions, dial only the numbers displayed, not the plus (+) symbols. Visit our reverse lookup country code search tool to find the country for an individual country calling code..
To perform a search: After you have selected the country code, click the Reverse It! button to find out which country uses that particular dialing code..
To get specific dialing instructions for calling the country code you searched for, try our easy-to-use country calling codes search tool. We are constantly improving our free calling codes tools and service and love to hear feedback from our visitors -- contact us with your comments and suggestions on how we can improve our area codes tool and/or website.